Strengthening America’s education system is important in fostering innovation and promoting our economic security. This week, I held two Career and Technical Education (CTE) Symposiums in two areas in the district. The first took place on Monday at Germanna Community College in Fredericksburg and the second one in Hanover at American Legion Post 175. I’ve held these symposiums in order to connect education institutions with local businesses and the private sector, and to help ensure the curriculum for our students reflects the needs of the workforce. Currently, businesses across America are facing a severe talent shortage due to a lack of vocational education and technical training. 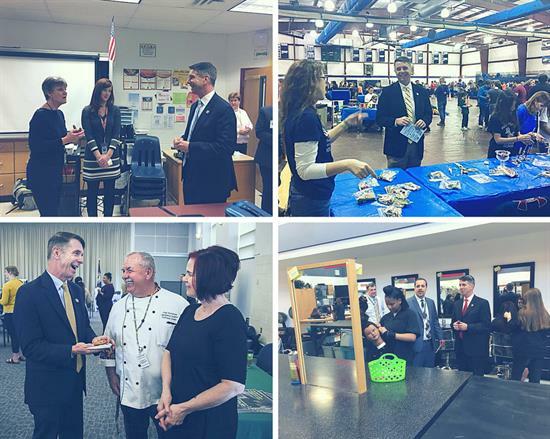 One of my top priorities is promoting CTE and STEM programs as a way to cultivate skillsets needed in today’s workforce and connect students with good-paying jobs. We must be preparing our young people and provide them with the necessary skills and knowledge to compete in a global economy. I have made it my mission to meet with all of the CTE programs in the First District and we have a had a lot of success. 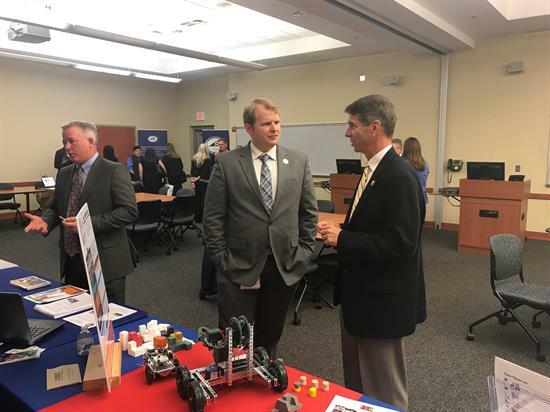 In May, I held my first symposium at the University of Mary Washington’s Stafford campus, where, again, teachers, businesses, students, and education officials came together to discuss partnership opportunities and ways Congress can help our students cultivate tangible skill sets. With students facing record education-related debt averaging $37,000, and less than 30 percent of college graduates working in jobs related to their major, CTE offers a great alternative. Congress has been working hard to bring even more, real change to our students. I was proud to support the Carl D. Perkins Career and Technical Education Act, which is now signed into law. The Perkins CTE program controls over $1 billion in grants for federal, state, and local CTE programs. The reforms include expanding access to CTE programs, helping schools create partnerships with the business community so students can cultivate skills in demand by the labor market, improving and modernizing schools’ CTE programs, and giving states and localities more control over how to spend CTE dollars.